Between 2006 and 2009, Action Heroes stepped out late at night to mark the city streets and pavements with reports of sexual violence. 8 testimonials were created, each testimonial belonging to an individual from a different age group, at a different time of day and the nature of the experience also varied. 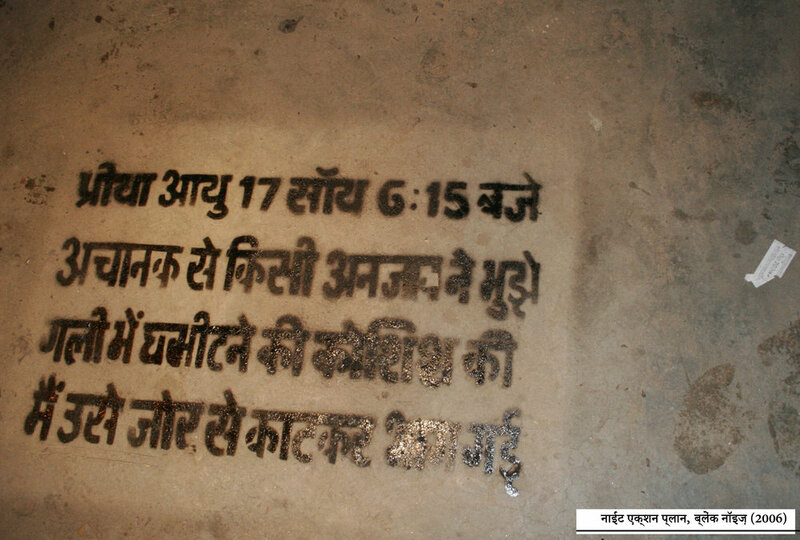 The stencils challenged the public perception of street sexual harassment happening to women of a 'certain' kind, in a certain kind of place and only at a certain time of day. The stencil spells out that the incident could have happened 'here'.